Maybe it’s due to the weather, my throat turned a little sore today..unfortunately..and I have to refrain eating too much fried food! 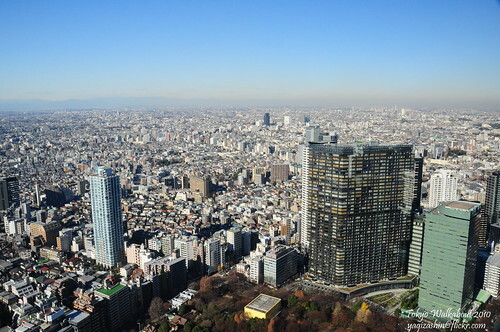 We set off for the ever busy Shinjuku station this morning to catch the bird’s eye view of the Tokyo Skyline from the Tokyo Metropolitan Govt Building.We took the JR Yamanote Line from Ueno, en route to Shinjuku. This train is above the ground, unlike the subways..so we get to see the surroundings of Tokyo in the morning. It was rush hour during the time we left for Shinjuku. So we experienced getting squeezed like sardines in the train cabin. Train officers shoved pple quickly into the cabin to compress more..i practically cant breathe normally or too loud as it was dead silence in the train! Trains in Japan are very quiet unlike Singapore, no ringtones, no loud conversations..only pple who are busy texting sms or taking a quick nap…it’s also very clean..I like the train system in Japan! Where to go?What ticket to buy? 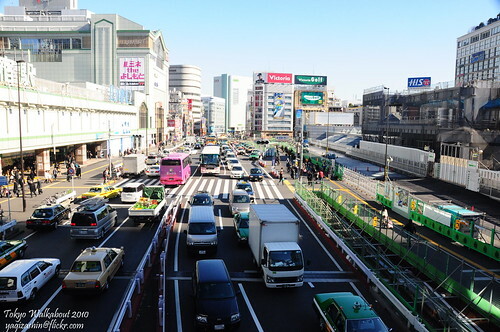 When we reached Shinjuku station, we were amazed that there were so many exits. And the entire venue was so huge. 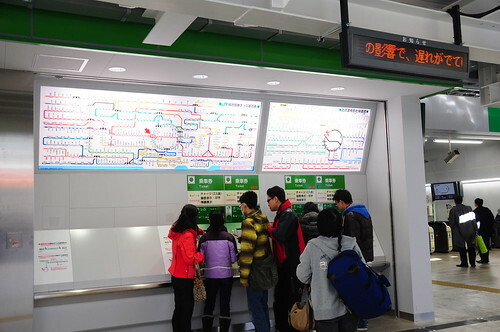 It took us about 20mins to walk from the station to TMG after many tunnels, escalators and paths…seriously, Japan consists of 2 world..the underground world and the above ground world!.. TMG view from 45th floor is FOC! 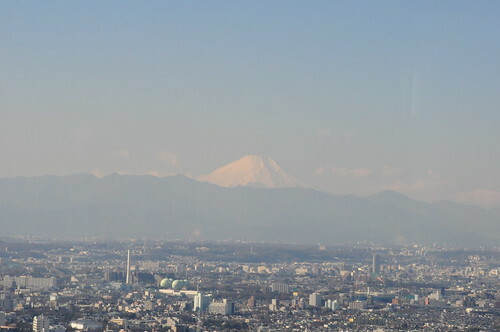 It offers great view of Tokyo and the weather was great that day..We saw Mount Fuji from afar..I feel Fuji-san is very majestic..a prominent symbol of Japan..I hope to visit it in the near future! 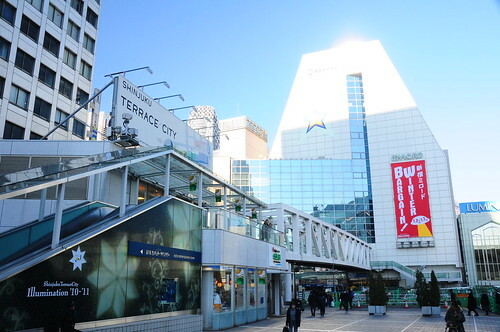 After purchasing some souvenirs, we made our way to explore the famous shopping centres in the vicinity of Shinjuku. Shopping stores like Lumine, Isetan, Takashimaya Times Square, Mitsukoshi, Odakyu are located within walking distance from each other. To explore every single one will take 2 to 3 days as they each consists of many floors! We chose to visit Takashimaya Times Square as I was recommended to try some pasteries from Patisserie Takashimaya Food Basement. 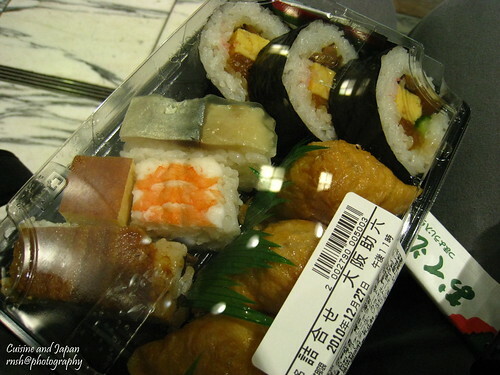 So we went there and it was filled with counters selling bento set, new year goodies, fresh fruits, tempura, sushi etc..I got myself a sushi set while Dear got himself a fabulous bento set!Both were yummilicious! 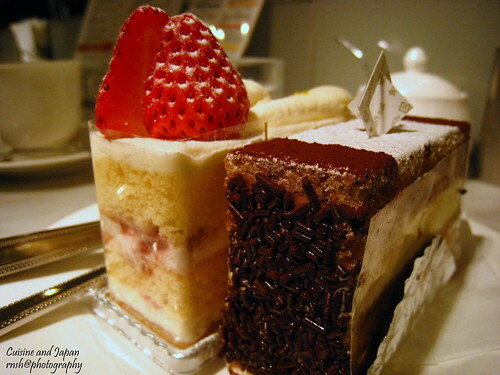 After finishing the main meal, we went to the Patisserie shop to savour the cakes. There were so many varieties. We chose 3 which looked the most pleasing and it was heavenly nice, alongside with a cup of mocha! That’s why they say desserts from Japan always make one melts in their mouth! We asked for directions to the Creative Store, Tokyu Hands. This Store consists of about 8 floors, selling anything and everything you can think of. We had a great time trying the different type of umbrellas which they sold…as you may have guessed, umbrellas from Japan are really of good quality and they are usually automatic with some interesting features! There were also many interesting items like massagers, little gifts, different flavoured toothpaste, strange toothbrushes, very very fragrant soaps, cosmetics innovations. 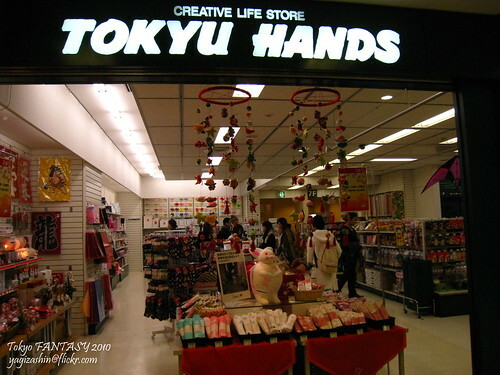 I bought a crystal Disney puzzle from there..cant find it in Singapore based on what I know…I love Tokyu Hands!! And boy..we didn’t realize it was 5pm already by the time we conquered all the areas of Tokyu Hands..! We then made our way to Ueno station where we met my sensei, Omae sensei! It was great to see sensei again. 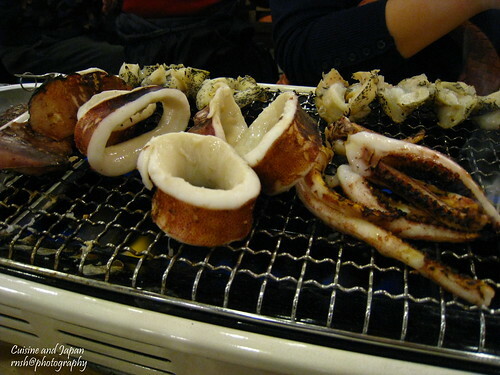 We patronized a shop that looks very oishii!...customers were grilling seafood, eating sashimi and tofu…and so we tried them all..
Grilling these seafood just makes me hungry! 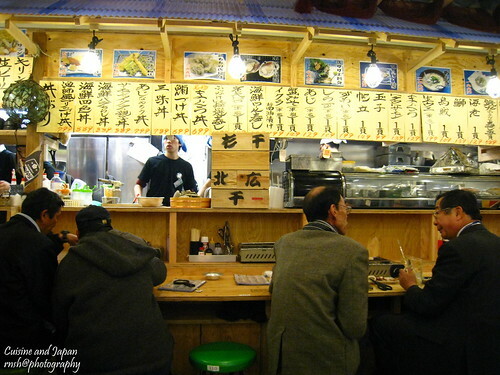 lucky sensei was around as the store has no pictures in their menu, only Japanese words..we had a great time doing some catch-up, learning more about Japanese culture from Sensei, and fun time eating. Sensei also brought us to buy some great puddings from the nearby departmental store at Ueno..apparently, we find it difficult to find puddings, as heard from Dear, who mentioned that he saw more puddings in Osaka than in Tokyo…in Tokyo, we mainly see food souvenirs like red bean – filled buns and rice crackers(senbei). 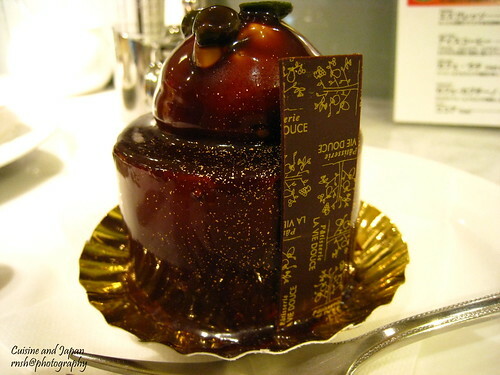 As I wasn’t feeling very well, we left after our trip to Ueno and went back to hotel to savor on the desserts…wonderful day spend in Japan! 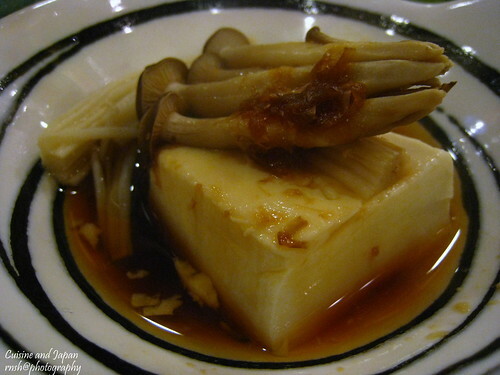 Tomorrow, we planned to visit Tsukiji, Ginza, Akihabara…till then!